Let's get quizzical! 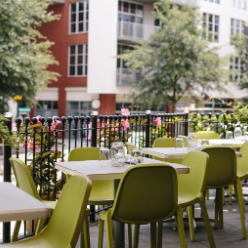 PARISH, located conveniently on the BeltLine in Inman Park, and Dirty South Trivia, an Atlanta game time favorite, have joined forces to help Atlantans and visitors alike welcome each weekend on a fun note. Hosting the first installment on Friday, April 5, 2019, attendees can grab the crew and their furry friends, and quench their thirst with frosty brews and cocktails, while enjoying competitive trivia fun on PARISH's expansive, pet-friendly patio. Taking place every Friday at 7:30 p.m., canned beer specials will vary, and for those hungry diners, PARISH's full menu will be available. For more information, call (404) 681-4434 or visit parishatl.com.